Taking your CBT Test in Nottingham couldn't be easier, with a superb mixture of flat, sloped, fast, slow roads to practice on, and RideTo approved training site, we have you covered in getting onto two wheels safely and easily. The majority of Nottingham residents will be looking to practice on quiet residential roads to learn the basic manoeuvres of riding on two wheels, at RideTo we recommend heading to the Gedling area or the sleepy residential streets of West Bridgford. An excellent place to practice signalling, stopping, moving from stationary, gear changing and acceleration control. One of the most important lessons to learn in Nottingham to ensure passing your CBT Test is to become a pro at hill starts. RideTo recommends practicing between Woodthorpe and Gedling for those tricky hill starts to come a problem of the past. CBT Test in Nottingham may require you to try your hand at some faster roads, dual carriageways like the A160 provides excellent practice for your motorcycle practice. 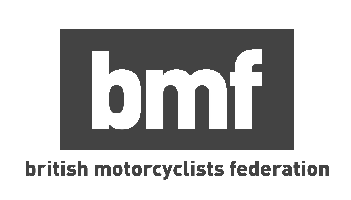 Although leading out to the M1, CBT Test will not require you to ride motorways as legally on a CBT licence, motorways are prohibited until a full motorcycle licence is held. Following gaining your full motorcycle licence you will be able to ride a wide selection of bikes such as the new Honda Super cub. First stop, passing your CBT Test. RideTo CBT Test in Nottingham is located in Colwick next to Nottingham Race Course. Covering many areas including the following: Arnold, Bassingfield, Carlton, Colwick, Gedling, Hyson Green, Netherfield, Shelford, West Bridgford, Woodthorpe.